Canadian soprano Layla Claire was awarded the Prix des Amis d’Aix-en-Provence for best Mozart performance for her 2012 European debut as Sandrina (La finta giardiniera) and has since made acclaimed debuts at Salzburger Festspiele as Donna Elvira (Don Giovanni), Opernhaus Zürich as the Governess (The Turn of the Screw), Washington National Opera as Blanche de la Force (Dialogues des Carmélites), Glyndebourne Festival as Donna Anna (Don Giovanni), Händel-Festpiele Karlsruhe as Tusnelda (Arminio), and returned to the stage of the Metropolitan Opera as Anne Truelove (The Rake’s Progress). An exciting season lies ahead for Layla Claire, a graduate of the Metropolitan Opera’s Lindemann Program, which includes her debut at Bayerische Staatsoper as Donna Elvira, and the pivotal role of Catherine Earshaw in Bernard Hermann’s Wuthering Heights for Opéra National de Nancy et Lorraine. 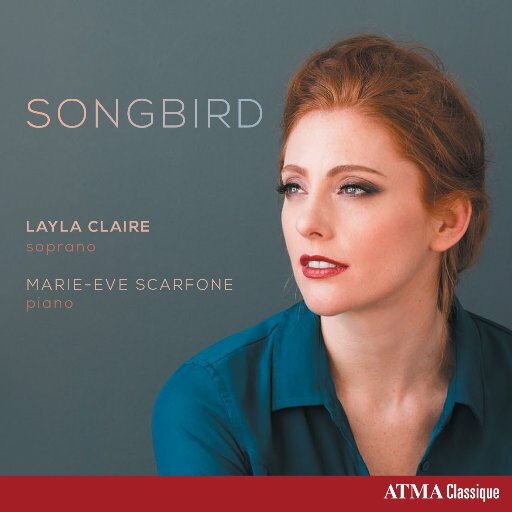 An accomplished and experienced concert singer, Layla has worked with major conductors including Tilson-Thomas, Nézet-Séguin, Haitink, Langrée and Hrůša in works by Mahler, Beethoven, Haydn, Mozart and Dvořák and released her first solo recording last year, entitled Songbird, on ATMA Classique. This season she joins Boston Baroque for Handel’s Messiah, and the Seattle Symphony Orchestra for Beethoven’s Symphony No.9.